Last week, Becca and I had the opportunity to spend a day at Modern Baker‘s new research and development kitchen on the outskirts of Kidlington. The Nordic-inspired open space is an opportunity for the team to produce their pioneering healthy baked range of bread, cakes and biscuits. Many Oxford locals will already be familiar with Modern Baker, from its pale jade-fronted bakery-cafe in Summertown. The popular venue has been serving up ‘healthier’ baked goods since 2015, but the cafe was just the beginning. Jump forward to 2018 and Modern Baker have a published recipe book, launched a range of retail products, opened a new R&D site, increasing their production capacity to 20,000 units a week, and are undertaking a two-year research project to drive healthier baking techniques industry-wide using a government grant they were recently awarded. Melissa Sharp, where Modern Baker all began, embarked on a discovery journey into how nutrition links to stress and chronic illness after being diagnosed with an aggressive form of cancer back in 2010. Sticking to a diet of healthy whole foods, Melissa found she wasn’t succumbing to the usual side effects that chemotherapy brings. It was after this experience that Melissa and partner, Leo Campbell, decided that healthy eating was the direction they wanted their careers to go in. Modern Baker was launched in 2015 and Lindsey Stark was hired as Head Baker. Lindsey is a professionally trained artisan baker, who studied at the prestigious Nottingham School of Artisan Food and who was equally passionate about pushing the boundaries of healthier baking. Lindsey and Milissa worked on creating a selection of natural sourdough baked goods that would significantly reduce refined sugar, eliminating it where possible. In fact, one of the first things they do when reinventing a ‘sweet treat’ recipe is to slash the sugar content in half and replace the remaining with unrefined sweeteners like coconut sugar, dates, maple syrup and raw honey. 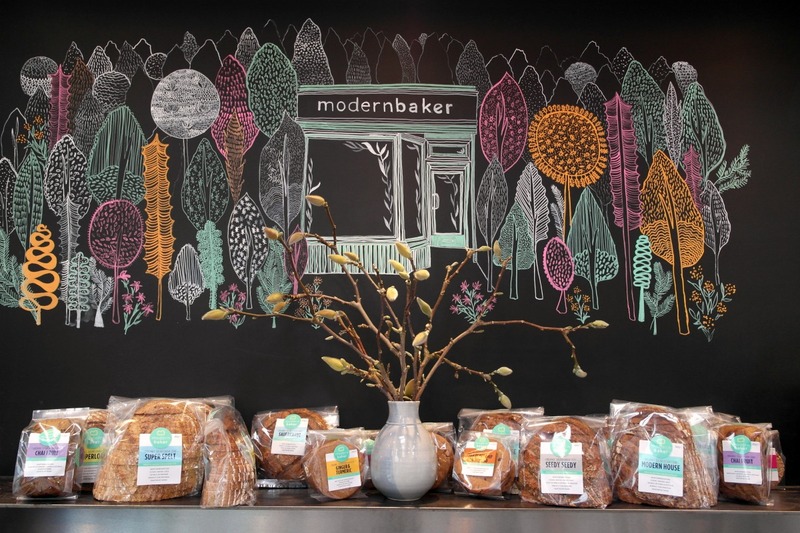 Modern Baker released a range of 12 retail products in 2017, featuring breads, biscuits and cakes, which have found their way onto the shelves at Selfridges and Planet Organic, but can also be found locally at Modern Baker Cafe, 2 North Parade and Branca Deli, with more stockists to planned. Since then Modern Baker have embarked on five separate research projects, partly government-funded with grants, with others planned. Their current project sees them partnering with Newcastle University’s Cell & Molecular Biosciences department. 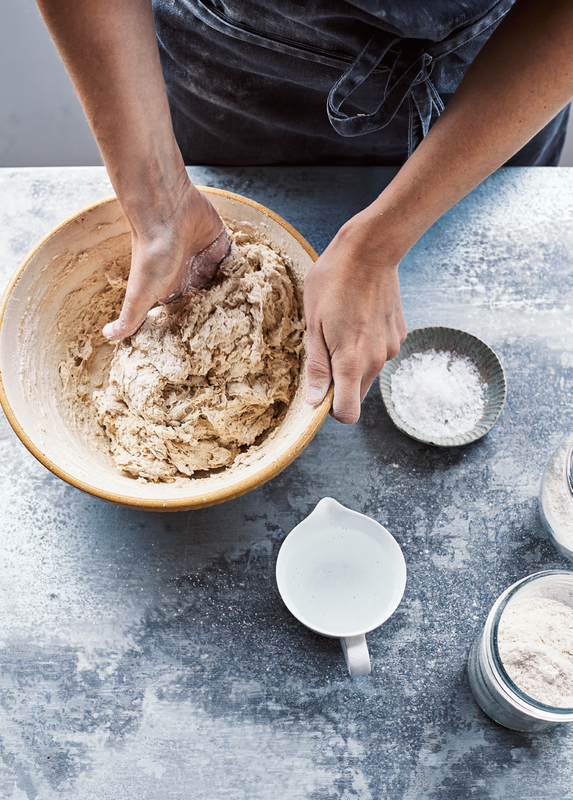 The projects follow Modern Baker’s mission ‘to improve the quality of dietary carbohydrates’ and vision to ‘democratise healthy baking, for the common good’. The latest venture, their research and development kitchen, which embraces ‘wellness architecture’, allows them the scope to not only develop new products but also upscale their production capabilities for the mass market. 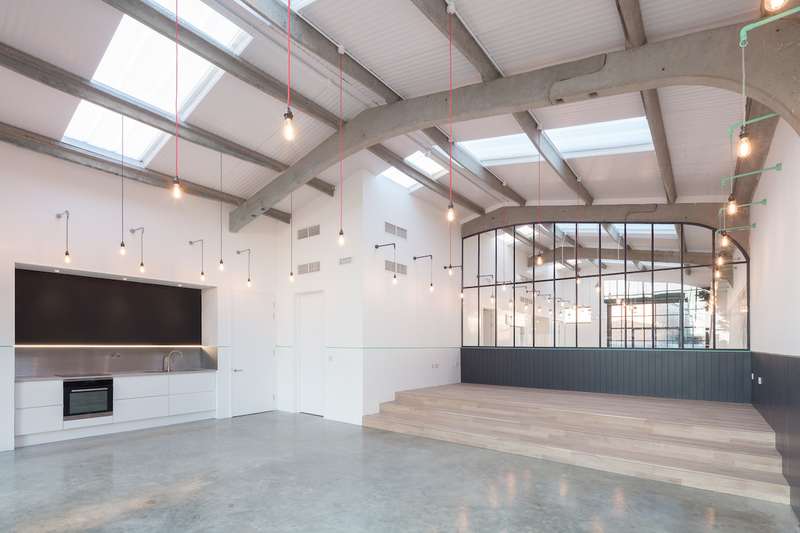 The bright and open space allows you to see right into the development kitchen, and ‘opens the lab’ to make space and ethos fully transparent. 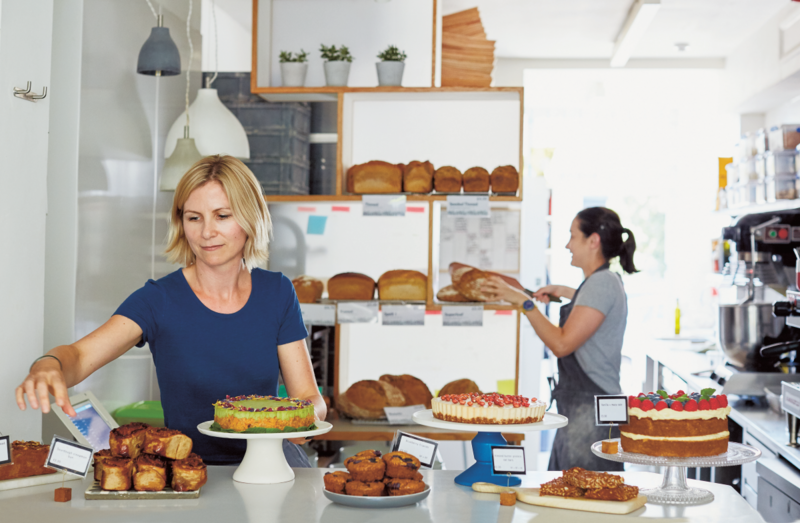 At the heart of all this though, lays a simple principle – their entire range of baked goods are made from a simple 48hr fermentation process that starts with just three ingredients: stoneground flour, water, and air. I asked Melissa to give a few tips for anyone interested in following a more natural, whole food diet like hers. While Melissa stuck to her diet dutifully to start with, due to fear, she now sticks to an 80/20 rule, eating whole foods 80% of the time, but allowing some flexibility so she’s not on high alert all the time. Ultra-processed foods have been in the headlines recently after a French study of 105,000 people hinted the more of such foods people ate, the greater their risk of cancer. Modern Baker are now finding themselves at the forefront of ‘healthier eating’ and have become known as the ‘carb hackers’ in their industry. So what’s next for Modern Baker? They’d like to make the brand nationally available affordably, bringing healthy baking to the masses. We’re looking forward to seeing them grow. Naturally of course! 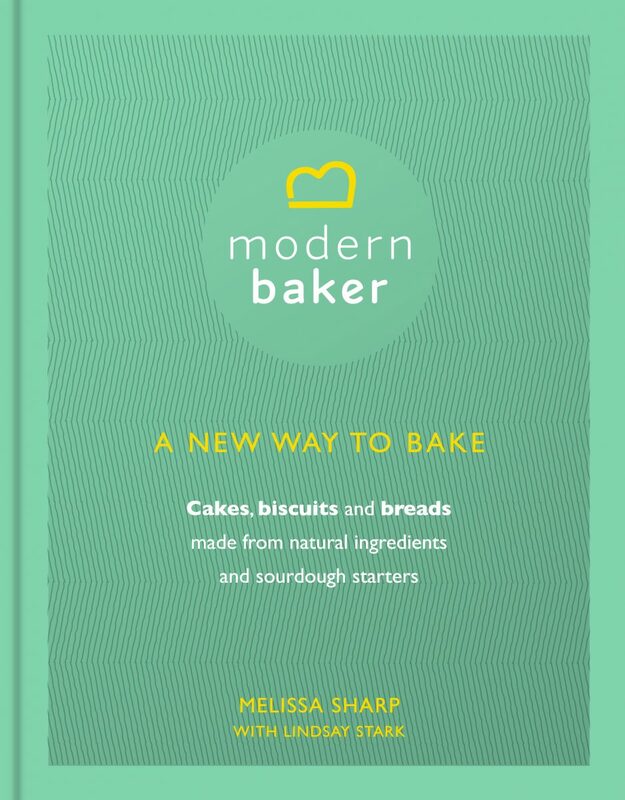 ‘Modern Baker: A New Way To Bake‘ by Melissa Sharp with Lindsay Stark is out now (Ebury Press, RRP £26) and Modern Baker’s range of healthy baked goods are available in Selfridges (London, Birmingham, Manchester Trafford and Manchester Exchange), Planet Organic and their Oxford-based cafe-bakery at 214 Banbury Road, OX2 7BY. Photography by Laura Edwards. Next: #BittenBites: British Pie Week 2018, how do you like yours?